Some of the hardest decisions when planning a cycle tour are not about where to go but what to take – particularly if you’ve got to carry everything on your bike. Making up your route as you go is easy. Some roads turn out to be nothing like as nice as they looked when you were planning the route. Or you might discover a new cycle trail that doesn’t even show up on any maps. How far you cycle in a day will often depend on things like weather, terrain…and how distracted you get by places and people along the way. What you take will obviously depend a lot on where you are going, the time of year/likely weather, your budget, whether you’re camping or not, and how long you’re going to be on the road. That packing list can be a real dilemma. Do you spend a fortune on top brands on the basis that you get what you pay for? Do you go ultra lightweight and minimal and leave out all the luxuries? Or do you just grab whatever’s to hand and see what happens when you’re out there on the road? I’d love to know your approach to getting ready for the big trip. But – for what it’s worth – I thought it might be interesting to profile some of my personal favourites for touring and invite you all to add your recommendations. Below, in no particular order, are some of the things I’ve grown to treasure when out there on a cycling tour. Part 2 will follow soon. You could say this little gem was responsible for me ever becoming a cycle tourist. Back in 2003, my wife and I were thinking of taking six months off work to drive around Europe in our old VW camper. Trouble is, the van wasn’t new. We kept having problems with it – and I am most definitely not a mechanic. Then one day I was walking home and I saw a couple ride past on a tandem towing a single wheel trailer. That was it! Lightbulb moment. To cut a long story short, the VW was sold soon after and we’ve now done two year-long cycle trips covering around 17,000 miles. We’ve had two tandems but are still on the same trailer. It’s just had a proper respray and I’ve replaced the bushes and pin for the hinge ready for a four-week trip in September. Not cheap to buy but worth every penny. I first discovered these tyres while on a 10,000-mile tandem trip to promote and raise money for the disaster relief charity ShelterBox. We rode several of these tyres until they had bald patches showing and never had a single puncture. They’re not cheap, not lightweight and can be absolute pigs getting on and off the rim but these will always be my tyre of choice. Schwalbe Marathon tyres are good but the Marathon Plus never let me down. I bought this bar bag for our first big trip and have used it ever since on both tandems and my solo bike. The Arran model is at the budget end of the Altura range but in terms of value for money this can not be beaten. Sure the fabric looks pretty faded but it’s been out there in some quite extreme sunshine for hundreds and hundreds of hours. I’ve replaced the plastic map case that clips on the top a couple of times but all the zips still work and I’ve never had a problem with it. It’s not waterproof but the fabric is thick enough to keep out a light shower (the map case helps) but I’ve always just kept things wrapped in plastic bags. When I looked this up to check the current price, I was disappointed to see that Altura have taken away the mesh pockets on either end. That’s a mistake in my book as I’ve always found them extremely useful. I always unclip one end of the carrying strap when riding and fold it into one of the pockets. They are also where my cycling gloves go when I’m off the bike. 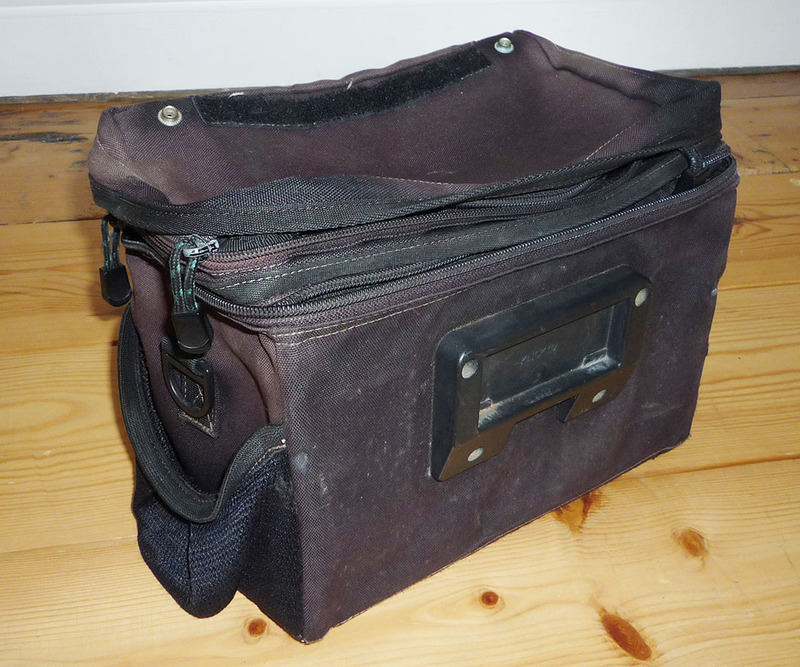 I love having a bar bag because it’s plenty big enough for keys, wallet, passports etc, maps, several glasses cases, change, the wife’s lipstick, small camera and a couple of snacks. Basically everything valuable and essential. If I leave the bike with all the panniers on it when touring, I simply unclip the bar bag and walk away knowing I’ve got everything important. Douglas Gill are better known as Gill Marine and not a brand normally associated with cycle clothing. I can’t be 100% sure where I got this but it was either in a bike or an outdoor shop (although I lived in Cornwall at the time so it’s not totally surprising that I discovered something probably designed for yachties). I had this and a Helly Hansen top as baselayers and Gill win hands down. There are several reasons I love this top. One is that it does what it’s supposed to and works extremely well as a baselayer and has kept me warm on plenty of occasions. The fabric also has a nice soft quality and doesn’t feel ‘artificial’. 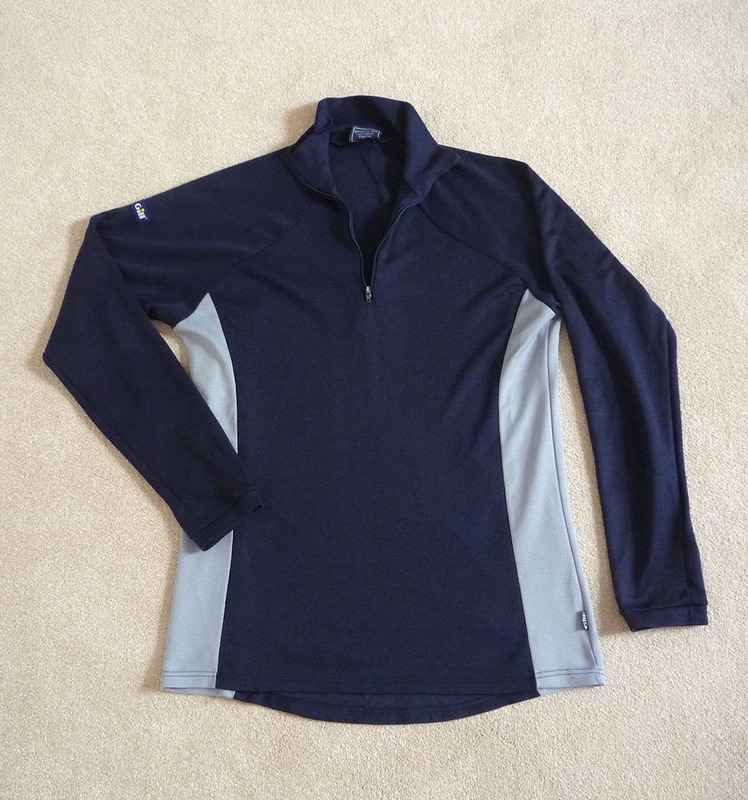 The high neck gives extra protection/warmth and the zip gives a bit of ventilation. It also washes and dries very quickly. I’ve used this top both for riding in cold conditions and for keeping warm while camping. It’s hard to say exactly how much use it’s had but it still looks almost as good as new. I’ll follow up this blog post with some more of my personal favourites soon but in the meantime I’d love to know what recommendations you’d like to share, particularly for touring. There’s also a What to Take list in the Planning section of the website. This includes my thoughts on the tools and spares that might be a good idea to have with you, plus what I’d take in the way of camping gear. Please use the comments box below to add your suggestions below. If possible, please include when (and where) you bought each item, how much it costs now and how much use it has had. 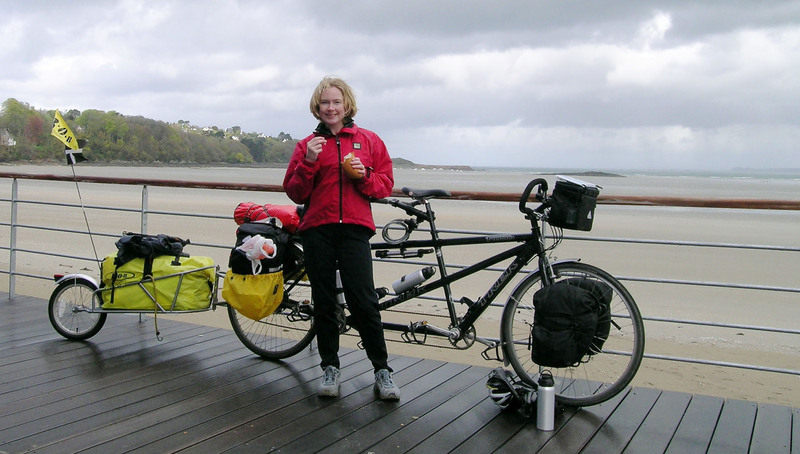 ← Cycling The Algarve – Published! I like the idea of a bob cat, or similar trailer. I’ve got a specialized road bike which I find very comfy and like the idea of a very lightweight camping trip for a few days so maybe this sort of thing would fit the bill? 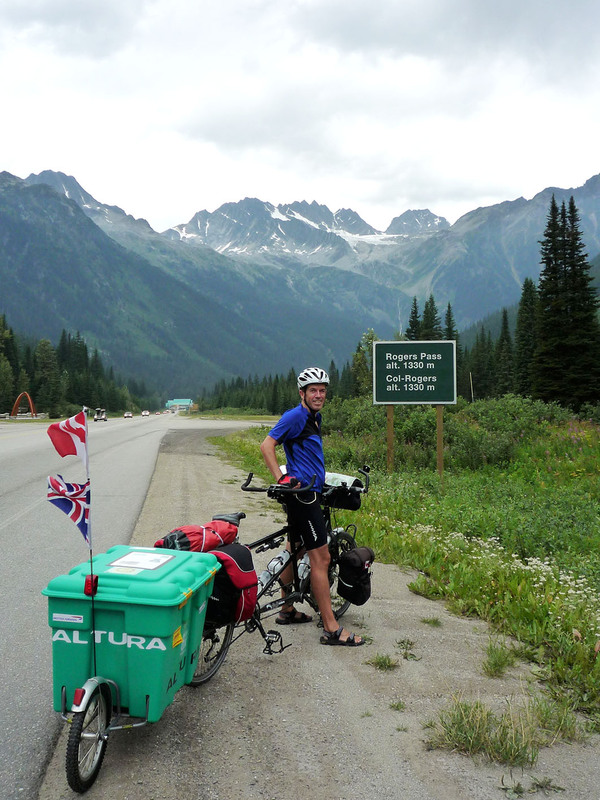 You can ride further +/or in more comfort if you take less stuff. You can ride a lot further +/or in more comfort if you sleep well. Thermarest ultralight 3/4, bought about 2002 about #60, 100s of nights from friend’s floors to high, snowy alps.